Are Condos Cooling? Are Homes Still Hot? Sensationalist headlines make good copy but misleading news. A fair reading of the newsletter suggests that there is increasing evidence of softness in the high-end condo market, represented most clearly by the glass towers of SOMA/South Beach, etc. To my mind, what’s just as interesting is what the newsletter says about the remainder of the market. Single family homes, especially in the more affordable neighborhoods continue to do very well. What we’re really seeing is perhaps a bifurcation of the market between more expensive and less expensive product generally. You can read the full newsletter here, but I’ve summarized the key points below. Let’s begin with the two charts that show most clearly how houses and condos may be going in different directions. The first shows the percentage of listings that are going for over asking price, with both houses and condos broken into more expensive and less expensive tiers. Immediately noticeable is the consistently high level of pricing pressure on houses listed for under $2 million (what constitutes “affordable” in this city). Higher end homes have seen a decline in recent quarters, which may partly be seasonal; but they still ended up above where they were a year ago. Not so for condos, where both the higher and lower end are fairing worse than they did compared to last year. Now, in any other market, you might say that if 55% of condos are receiving offers above asking price that’s got to be a pretty strong market. 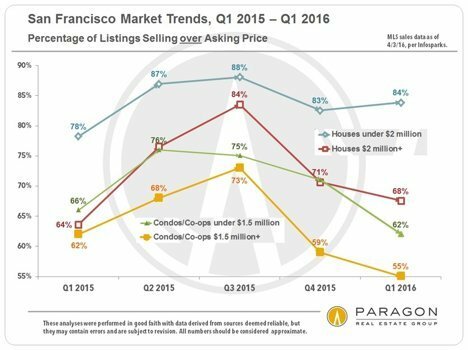 But when you look at how much over asking price condos are going for, the data may be signaling signs of weakness more clearly. Once again, homes priced at under $2 million are showing robust price pressure, while higher end homes have slipped over the last two quarters. (Again, the high end is typically more affected by seasonal fluctuations.) But the lower end of the condo market has seen percentage over asking price fall for three consecutive quarters while the high end’s percentage over asking is so barely positive that it rounds to zero. 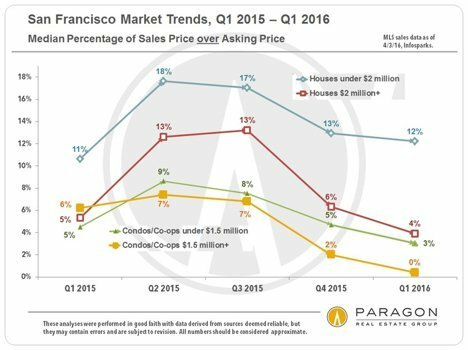 And, according to our data, in those districts with the most high-rise luxury condo construction – South Beach, Yerba Buena and Mission Bay, the median sales price was actually below asking, at 96.7% of the list price. When a property doesn’t sell at all, it’s withdrawn from the market for a while or the listing “expires.” So if the number of expired/withdrawn listings is increasing, that can be a good indication of a cooling market. 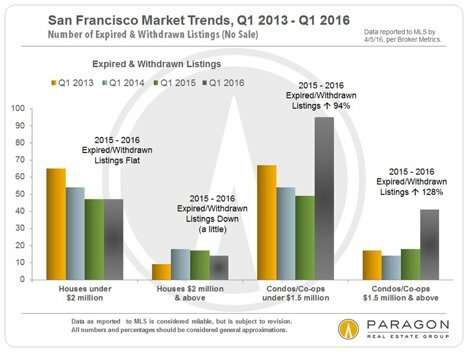 The chart below shows the number of expired/withdrawn listings for higher and lower priced homes and condos in the 1st quarter for each of the last four years. Here too, this chart suggests that the home and condo markets are diverging with significantly greater weakness in the condo market, certainly compared to a year ago. In fact, even when you compare condos to homes most broadly, without splitting them into high and low price tiers, you see the same thing: condo prices have been flat or declining since Q2 2015, while home prices continue to follow their upward trend. Of course, when it comes to property values, the devil is always in the unique details. We don’t get MLS data on sales from brand new construction projects that are sold directly by the developers. Our experience, though, is that sales in many of the new projects are brisk. In fact, I’d argue that this dovetails nicely with the softness that we see in resale condos via the MLS: namely, that the new developments are taking buyers away from the existing developments and thus contributing to downward pricing pressure. 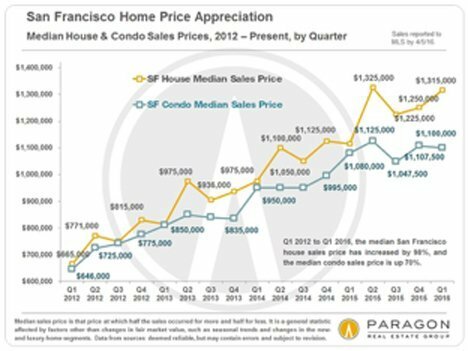 Nor should you assume that the Pacific Heights condo in an Art Deco building with Golden Gate Bridge views will be valued by the market in the same way as the “median” condo reflected in the charts above. 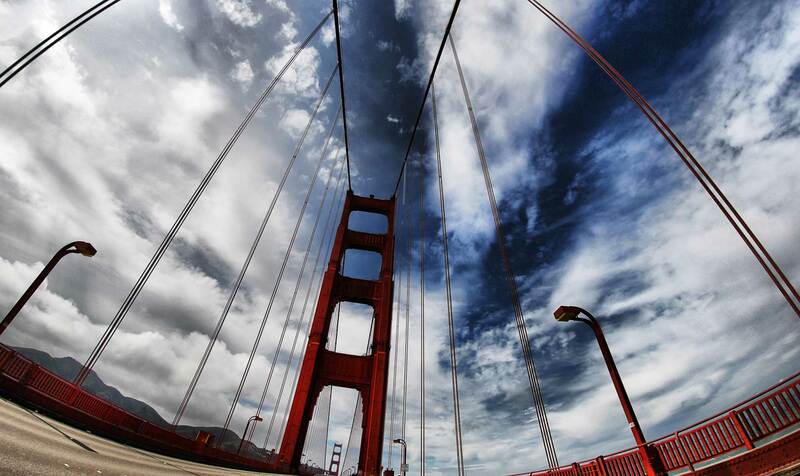 In my opinion, unique qualities – be they location, architecture, or views – can help preserve value. It’s the cookie-cutters that are most at risk. As always, your questions, comments and referrals are much appreciated! Next PostNext Calling Giants Lovers. Live Next to Home Plate!